The ExoMars 2016 spacecraft composite, comprised of the Trace Gas Orbiter and Schiaparelli, seen during the encapsulation within the launcher fairing. The conical shape to the left is the launch vehicle adapter, through which the spacecraft is attached to the Breeze upper stage. 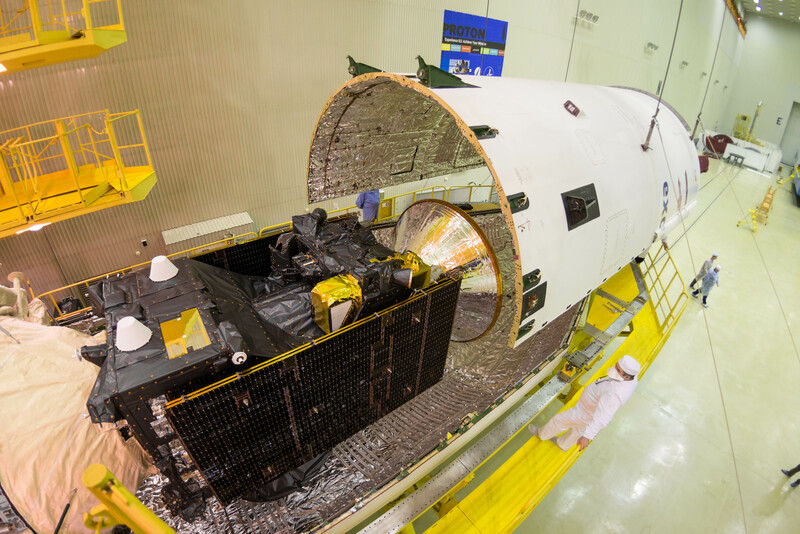 The first half of the fairing has already been rolled into place underneath the spacecraft assembly, and the second fairing half is being manoeuvred into place by means of an overhead crane.